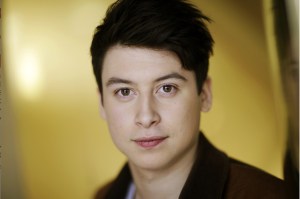 Nick D’Aloisio, a British-Australian teenager, has been making Apps for the iPhone since he was twelve. When he was just fifteen years old he had massive success with his app called Summly.The app sums up various articles and topics in just a few sentences. Summly has received a 4.5/5 rating on the App Store, and by 2012 has been downloaded on over a million phones. In 2013, the app was bought by Yahoo News Digest for $33 million, which made Nick one of the youngest millionaires in the world. Now at only nineteen years of age, he is the head of one of the most highly-rated apps in the world, and his career has only just begun. Since he was a young boy, Nick has been fervently investing his time in exploring and mastering topics in science and technology. He started to read college-level textbooks on Astronomy at the age of six, and soon moved on to creating 3D animated films on the computer. Inspired by the App Store opening and its Software Development kit, Nick started to teach himself how to program and make his own apps. His first app using Artificial Intelligence (AI) was Facemood, a way to determine your Facebook friends’ moods by their statuses. Because he was legally too young to start-up his own app company, he had his mother sign the papers for him. After three years, he made approximately $30,000 off the company. After growing frustrated while studying for a history exam at his prestigious secondary school, King’s College School, he was determined to find a way to condense articles and subjects into a smaller format in which he only had to read the most relevant information. He created these summarizations by using a “genetic” algorithm. The algorithm uses a “natural selection” approach for creating the summary, by which selecting the most important phrases in various articles to create the most sufficient summary. Eventually Trimit, the name of the app before it was called Summly, was released and easily outranked similar apps because of its advanced AI code. However, it didn’t reach enormous success until it caught the attention of Li Ka-Shing, one of the largest investors in the world. Ka-Shing invested $300,00, which helped Nick market Summly. The amount of downloads spiked to 130,000, and the news of Summly was buzzing everywhere around tech and business world.